Restore Coastal Sites to Compensate for Habitat Loss. Donate here to increase the carrying capacity of coastal wetlands and rivers along the Atlantic coast and flyway - gaining needed habitat while the Gulf Coastal estuaries are being repaired. The Coastal America Foundation will use your donations as challenge match funding to allow non-federal entities to cost share with federal programs that restore coastal ecosystems or encourage education that leads to the betterment of the environment. By relying on federal programs to implement projects and provide the predominance of the funding, we are assured that the projects are of the highest quality and meet government standards. Your donations will be used to restore degraded habitats, such as salt marsh and anadromous fisheries corridors. Support our Student Ocean Art Contest! It is our pleasure to invite you to support our charitable organization where your participation can directly restore America's coastal resources. The Coastal America Foundation was formed by a group of nationally recognized marine scientists to provide a tax-deductible vehicle that funds local communities participating in national programs for ecological restoration. This is accomplished by supporting the local communities cost sharing in projects being implemented by the highly successful Coastal America partnership. The partnership leverages the funding authorities and staff capabilities of numerous federal and state agencies. The Coastal America Foundation supports restoration, research, education and outreach in the coastal environments and their watersheds. Removal of abandoned dams and the restoration of tidally restricted salt marshes are only two examples of the types of projects that your tax deductible donations will support. These and other projects will actively improve the coastal environments of America and directly improve our fisheries habitats and that of many threatened and endangered species. The volunteer scientists of the foundation, however, have identified that more projects can be implemented if additional local cost sharing funds were available to encourage state and local participation in federal programs. Since the projects meet the stringent criteria of the national Coastal America partnership agencies, the investment of foundation funds are assured to be in regionally important and nationally significant projects. Supporting education through the Coastal Ecosystem Learning Centers. 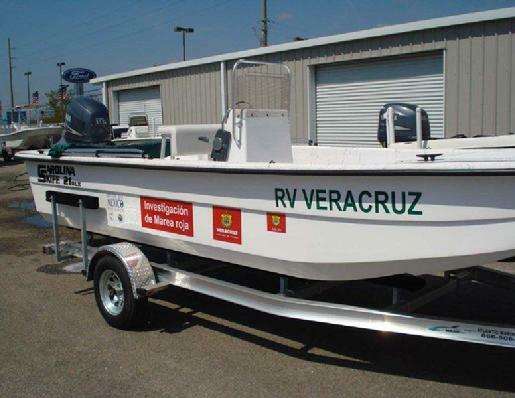 CELC support - helping the R/V Veracruz to be deployed! 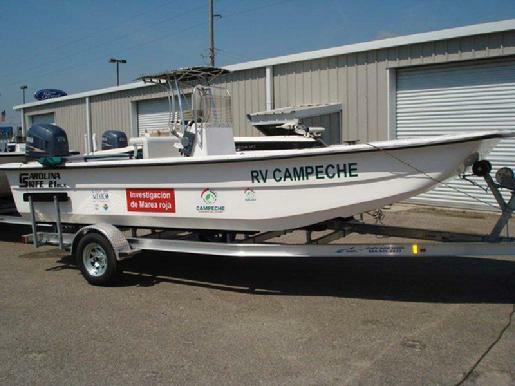 Also deployed the R/V Campeche. All good things take partnerships! Click here to donate online to the International Corporate Wetlands Restoration Partnership! As the world looks to restore important aquatic landscape features, the Coastal America Foundation would like your help. Donations will be collected here to fund appropriate projects to restore the wetlands and aquatic habitats of the world in association with the International Corporate Wetlands Restoration Partnership. 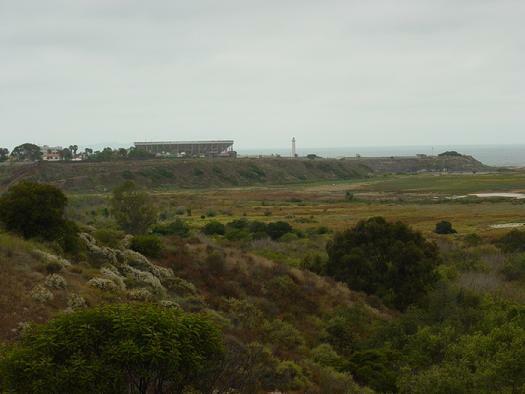 Wetlands at the US/Mexico border. click here for a sunrise!